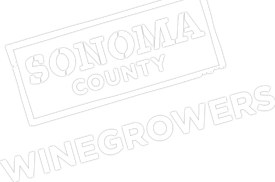 We are very excited to announce the launch of a new groundbreaking video series focused on grape growers here in Sonoma County. In partnership with Food & Wine Magazine, we produced a first-of-its-kind video series called “Backroads and Back Stories” with Executive Wine Editor Ray Isle. Throughout the series, the acclaimed culinary magazine’s Executive Wine Editor Ray Isle travels across Sonoma County meeting with our grape growers to hear the “backstories” of their families’ farming legacies, sustainability practices, the history of the land and other educational topics that showcase the multi-generational ties that many growers have to Sonoma County. The Sonoma County Winegrowers have a very strong relationship with this influential magazine and it’s the first time that Ray Isle has appeared in a regional video series, let alone one solely focused on grape growing and our vineyards. “Backroads and Back Stories” with Ray Isle features a series of videos, with the first one debuting this week on our website at https://www.sonomawinegrape.org/backroads-backstories. A new video will be released every two-to-three weeks and will be cross-promoted from now until September throughout Food & Wine’s website (www.foodandwine.com) and both brands’ social media platforms, including Facebook Twitter, and Instagram. In total, we expect these videos to reach more than 10 million consumers. In our first video release, “Keepers of the Old Vines,” Ray Isle visits the historic Sausal vineyard in Sonoma County’s Alexander Valley that was planted back in the 1880’s. Meet Bret Munselle, a 5th generation grape grower who’s great-great-great grandfather planted the vineyard and Brad Petersen who is now farming it today for Silver Oak Cellars. Hear their stories of how this old vineyard has continued to flourish and maintain its deep roots for close to 140 years.